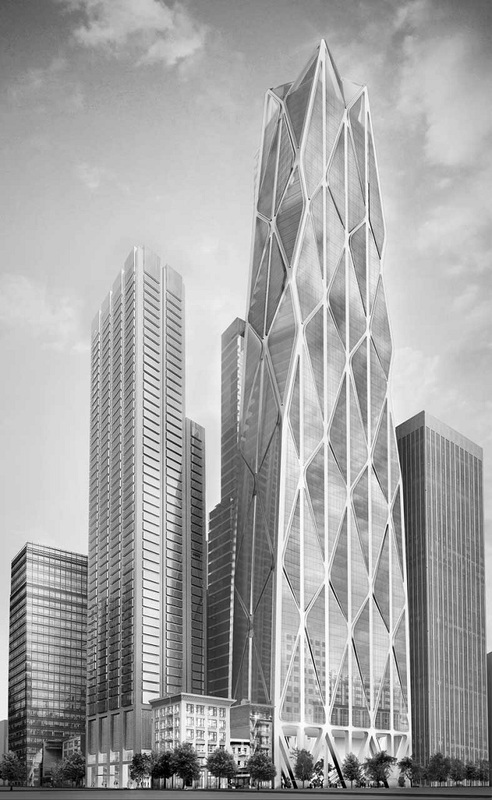 Situated in the rapidly changing Transbay Area of San Francisco, close to Market and the financial district, the two million square foot Oceanwide Center development comprises two high-rise towers, along with impressive new public spaces and important new pedestrian links through downtown. Together, the buildings provide 1.35 million square feet of office space and 650,000 square feet of residential units. Significant in urban and environmental terms, the development brings together places to live and work with the city’s most important new transport hub, further evolving a sustainable model of high density, mixed-use development that the practice has always promoted. 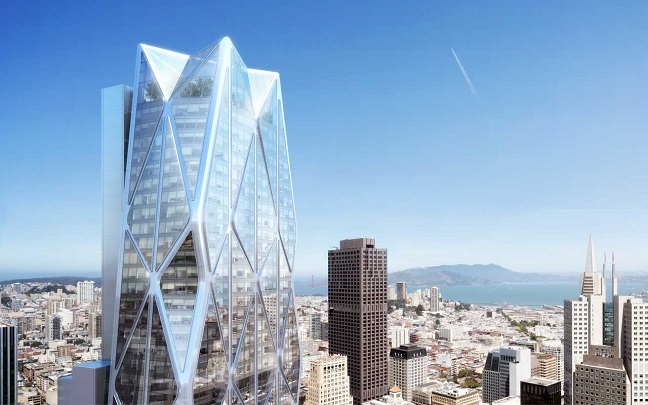 The development forms part of a rezoning plan, which was put in place to encourage density around the Transbay Terminal, and the project represents the last mixed-use development of this scale in the area. 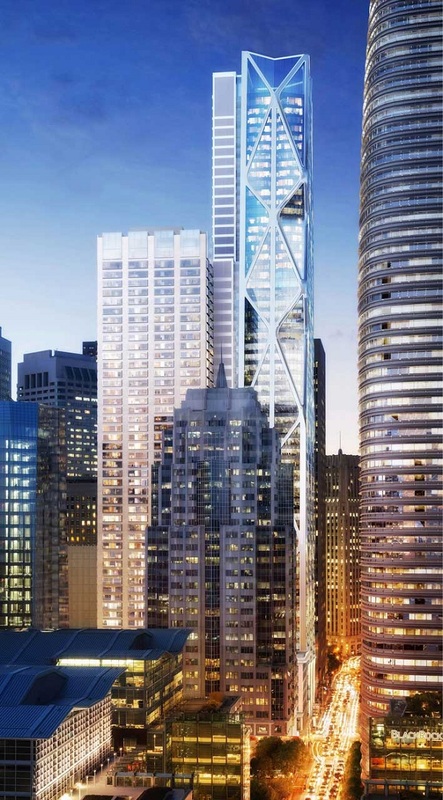 The 605-foot residential tower reflects the scale of San Francisco’s existing tall buildings and has frontage on First Street, while the 850-foot hotel, residential and office tower rises above it as a symbol of this new vertical city quarter – it will be the tallest residential project on the West Coast. The super-sized office floor plates are designed to allow tenants a high degree of flexibility, and their open layout is supported by an innovative orthogonal structural system developed for seismic stability. The point where the towers touch the ground is as important as their presence on the skyline. At ground level, the buildings are open, accessible and transparent – their base provides a new ‘urban room’ for the region, and the new pedestrian routes through the site will knit the new scheme with the urban grain of the city.